In a major victory for the rights of consumers, Connecticut Governor Dannel P. Malloy signed Public Act No. 17-28 into law on Tuesday, June 6, 2017. Titled “An Act Concerning the Sale of Entertainment Event Tickets on the Secondary Market,” the act ensures that consumers holding tickets to events in the state retain the right to easily transfer those tickets to others without being charged additional fees or penalties. The act also protects individuals who receive tickets through such transfers, making it unlawful for a venue to deny admission to anyone based solely on the grounds that the ticket has been resold. 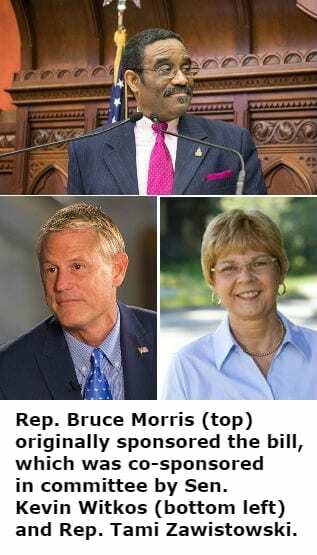 Originally submitted by Representative Bruce Morris (D-140th), the bill was sponsored in committee by Senator Kevin D. Witkos (R-8th) and Rep. Tami Zawistowski (R-61st). It was then additionally co-sponsored by Senator George S. Logan (R-17th) and Representatives Baram, Tom Delnicki (R-14th), Emmett D. Riley (D-46th), Prasad Srinivasan (R-31st), and Joseph C. Serra (D-61st). The measure passed the Connecticut legislature with overwhelming support from both sides of the aisle. It passed the House on April 5th by a 138-6 margin (with five absent) and the Senate on May 25th by a 31-5 margin, moving on to Governor Malloy’s desk. Previously, it passed from the General Law Committee by a unanimous 17-0 vote. When explaining why tickets often sell out quickly, Jay Mullarkey, a TicketNetwork representative, as well as several other industry experts, testified that the primary sellers like Ticketmaster often “holdback” from the general public up to 70% of the available tickets for VIPs and others. “This year is the secondary market. Next year’s the primary market,” said Senator Witkos at the March 3rd hearing. The law goes into effect on January 1, 2018. TicketNetwork, which has its headquarters in South Windsor, Connecticut, was active in the passage of this act. Company representatives provided testimony for the legislature in favor of the proposed bill’s positive impact on consumers, helping build the strong consensus that carried it to such a resounding bipartisan victory. Specifically, the act bars the sellers of tickets to entertainment events – including, but not limited to, sporting events, concerts, theatrical or operatic performances – from failing to give the consumer an option to purchase tickets that they may transfer to any party, at any price, at any time. Additional fees for such transfers or the requirement for consent from the original seller for such a transfer are also banned. Some tickets are exempted from this act, including movie tickets, tickets to events held by a public institution of higher education offered for sale to students of that institution, and tickets to venues with seating capacity of not more than 3,500, provided the venue provide written notice to the Commissioner of Consumer Protection of its intention to not comply with the act. In total, these provisions provide protection for the consumers of Connecticut against venues or performers who would seek to restrict their right to resell or transfer tickets they purchased legally, as well as those who purchase resale tickets who might otherwise be denied entry to an event despite holding a valid ticket.